 Weekend Archives | Page 57 of 57 | What Should We Do Today? Here are five things you can do with your kids this weekend! Register online using the link in the title. Build a wooden Valentines mailbox to hold all your child’s valentine cards from their favorite friends. After the mailbox is built, your child can personalize their project with paint. Children must be present at the store to participate in the workshop and receive the kit, apron and pin. Kids Workshop activities are scheduled on a first come/first served basis. Please do not arrive before 9:00 a.m.
2. Disney on Ice – Let’s Celebrate! It’s one colossal party on ice, with all your favorite Disney friends at Disney On Ice presents Let’s Celebrate! Presented by YoKids Organic Yogurt. Join Mickey Mouse and Minnie Mouse as they celebrate a Very Merry Unbirthday Party with Alice and the Mad Hatter; a Royal Valentine’s Day Ball with the Disney Princesses, including Cinderella, Ariel and Tiana; a Hawaiian luau with Lilo & Stitch; a winter wonderland with Woody, Jessie and Buzz Lightyear; a Halloween haunt with the Disney villains and more in a magical medley of holidays, celebrations and festivities from around the globe. Come join the party when Disney On Ice skates into your hometown! Central Ohio’s own Magic Nate will bring his marvlous mix of classic and modern magic tricks to the atrium this morning. Be prepared to be amazed! Recommended for ages 4-100! Drop in for winter-themed crafts, activities and messy fun! Get the kids out of the house and into the Nature Center to enjoy a scavenger hunt, crafts, activities and watch a few Wild Kratt adventures. Carpe Diem String Quartet’s free Sunday concerts for families are fun, hands on, and entertaining! All ages are welcome! Make a colorful paper songbird to brighten up your winter day. Free with admission. Join one of our dynamic volunteers for Preschool Story Time at 10am on Thursday and Saturday mornings. Enjoy a nature based story in our beautiful library and bird viewing room. After the story your little ones can romp and play in the Forest Room where they can dress up like birds, play with puppets and climb into the tree tops in our forest. These are drop-in programs, registration is not required.